Cloudy with occasional rain showers. High 47F. Winds ENE at 5 to 10 mph. Chance of rain 50%.. Rain showers this evening with overcast skies overnight. Low 38F. Winds E at 5 to 10 mph. Chance of rain 60%. 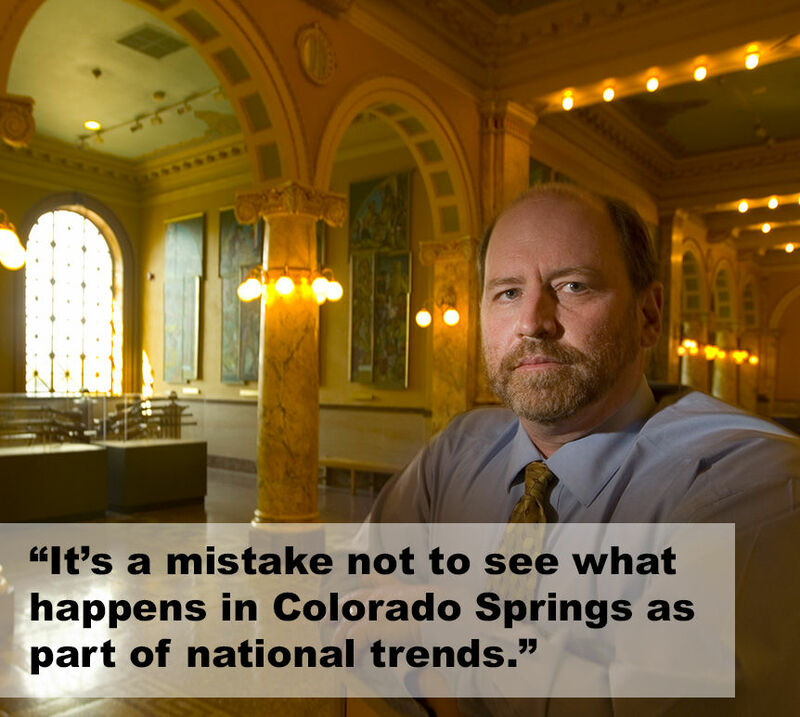 Colorado Springs is a city rising, its economy jet-fueled by one of the hottest housing markets and lowest unemployment rates in the country. Downtown is on the cusp of a residential and commercial renaissance. Cranes dot the skyline, new hotels are going up and ground has broken on the new U.S. Olympic Museum. To the north and east, new houses are sprouting in the expansive Banning Lewis Ranch. But not all of Colorado Springs is sharing in these good fortunes. 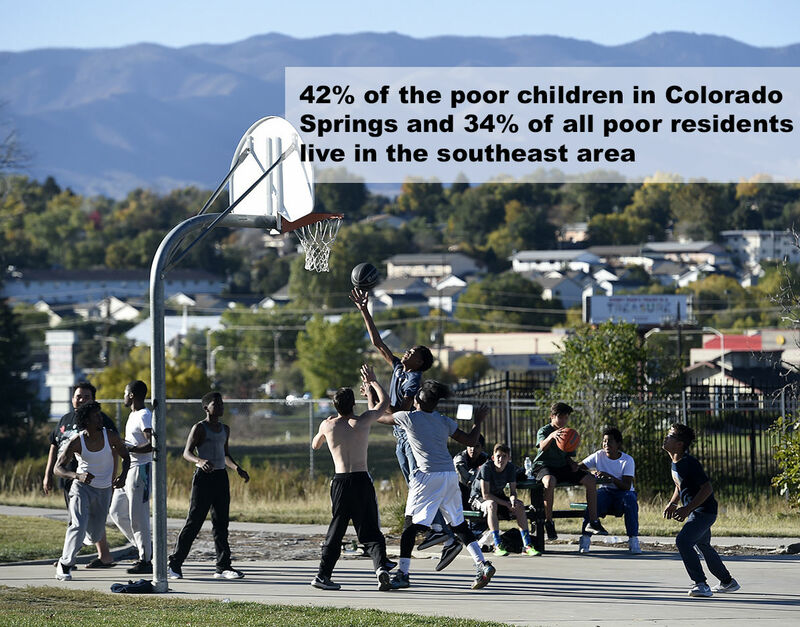 There is a corner of the Springs whose prospects have dimmed as the rest of city’s brightens, where the gap between the haves and the have-nots is stretching. 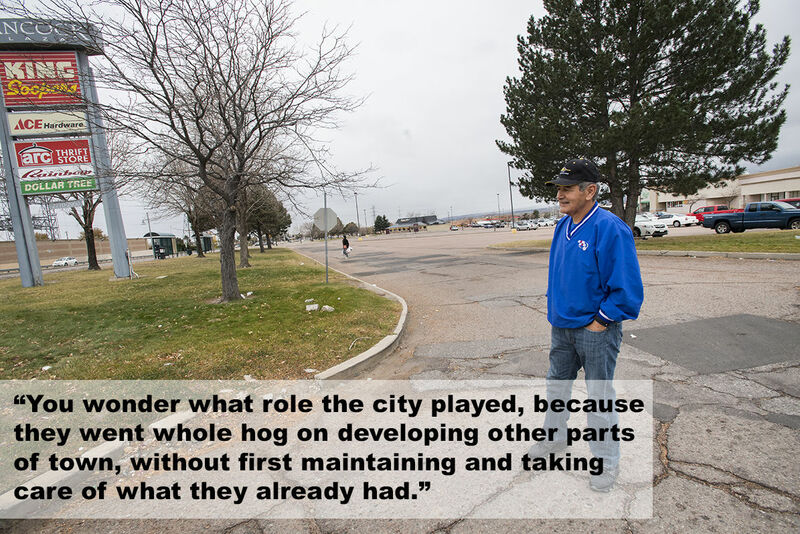 As much of Colorado Springs resurges, large swaths of southeast Colorado Springs remain gripped by poverty, its hold refusing to yield. In many neighborhoods, the unemployment rate has typically been two to three times that of the rest of the city, according to the most recent available data.